The Trump administration is thinking inside the box. President Donald Trump wants to drastically scale back food stamps and replace them with a "food box" delivery program — like Blue Apron. Mick Mulvaney, director of the Office of Management and Budget, told reporters on Monday about the plan by the U.S. Department of Agriculture to redesign the Supplemental Nutritional Assistance Program as "America's Harvest Box." Under the plan, more than 16 million households would have half of their benefits go toward the food box delivery program. "What we do is propose that, for folks who are on food stamps — part, not all — part of their benefits come in the actual sort of — and I don't want to steal somebody's copyright — but a Blue Apron-type program where you actually receive the food instead of receive the cash," Mulvaney said. Blue Apron is a company that sells weekly meal service kits that come with ingredients and recipes that are then cooked at home by the customer. Three meals a week for a family of four comes to about $140 in the New York area. Among the offerings are beef medallions and scallion salsa verde and salmon and dukkah-spiced vegetables, according to Blue Apron's website. Under the current program, food stamp recipients use a payment card, similar to a debit card, to by food, and the USDA has strict rules about what can be bought with the benefits. Alcohol, household items and pet food, among other items, cannot be purchased. The Trump administration proposal could shake-up the country's largest program designed to battle domestic hunger issues. 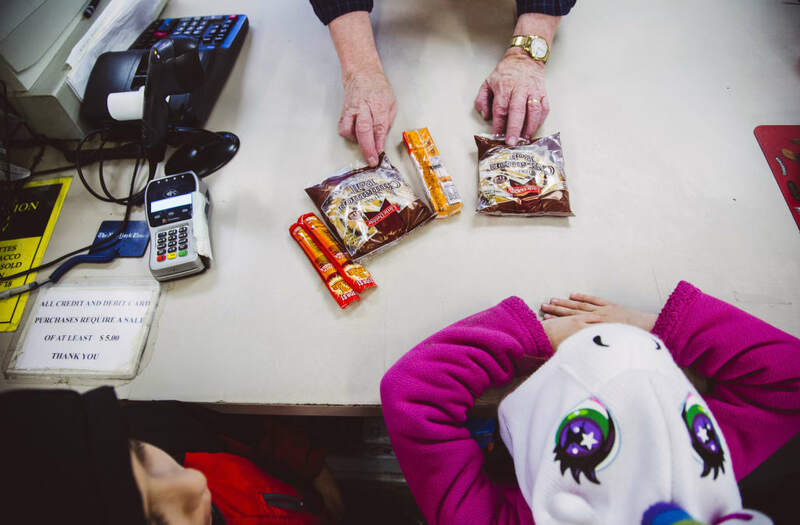 The proposed budget, released Monday, would gut SNAP benefits by $17.2 billion in 2019, about 22 percent of the program's total cost last year. USDA claims the new plan would save $129.2 billion over 10 years. "It lowers the cost to us because we can buy prices at wholesale, whereas they have to buy it at retail. It also makes sure that they're getting nutritious food. So we're pretty excited about that. That's a tremendous cost savings," Mulvaney said.